Horizon Home Inspections, LLC. is the premier home inspection company serving the Greater Tulsa area. 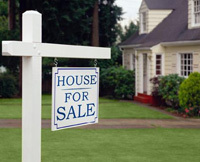 We have been trusted by home buyers to help them make informed buying decisions. Our home inspections typically take about an hour and a half depending on the size of the house and you are invited to follow along with your inspector as they perform your inspection. View the Residential Inspection Service Fees list for complete details on pricing. We understand that buying a house will be one of the largest investments you'll make in your life, so we take great pride with every inspection we perform by inspecting each house as if we were buying it for our family. When the inspection is over, your inspector will deliver a Comprehensive Detailed Narrative Inspection Report with Digital Color Photos regarding the property, the same day by email. Some of the areas we serve outside of Tulsa: Bartlesville, Beggs, Bixby, Bristow, Broken Arrow, Chelsea, Chouteau, Claremore, Cleveland, Collinsville, Coweta, Dewey, Hominy, Kansas, Keifer, Keystone Lake, Nowata, Oologah, Owasso, Pryor, Salina, Sand Springs, Sapulpa, Skiatook, Tahlequah, Talala, Vinita, and Wagoner. "We recommend Sean Wilson and Horizon Home Inspections to everyone looking for a trustworthy company and an honest man to protect their investment As first time home buyers we cannot thank Sean enough for his professionalism, and hard work to protect us and our investment." 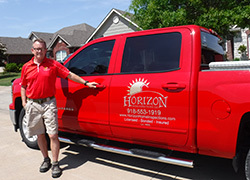 "We highly recommend Sean at Horizon for a professional, thorough home inspection! My husband & I just bought our first home and couldn't be happier!" "Wonderful service. Extremely honest and dependable. The level of detail he provides is beyond expectations. He found issues that I personally would've missed. I recommend HHI to anyone. It's well worth the minimal investment." "Mr. Wilson, My wife and I both thank you so much for the highly detailed inspection and the clear, concise report. We appreciate all the time you took in preparing it, as well as the time you took to go over all the issues with us that were included in it. We were both very impressed with how thorough a job you did and the hard work you put in to it. Neither of us remember getting the same amount of information when we bought our current house. I speak for both of us when I say we would be more than happy to recommend you to anyone we know of in the future that requires a home inspection. Again, thanks so much for all of your hard work.